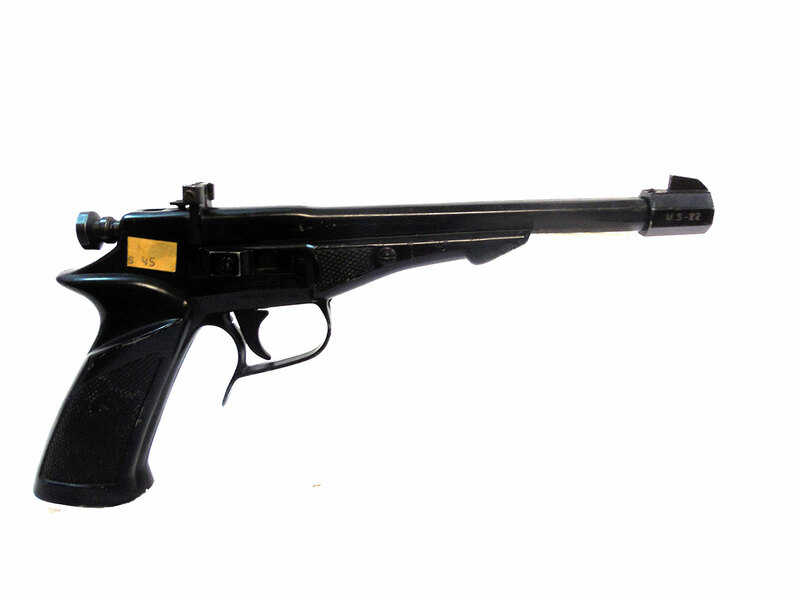 The Ampell Acro CO2 pistol, is a .22 caliber single shot air gun. All of this guns exposed parts are made of cast metal with matte black finish. 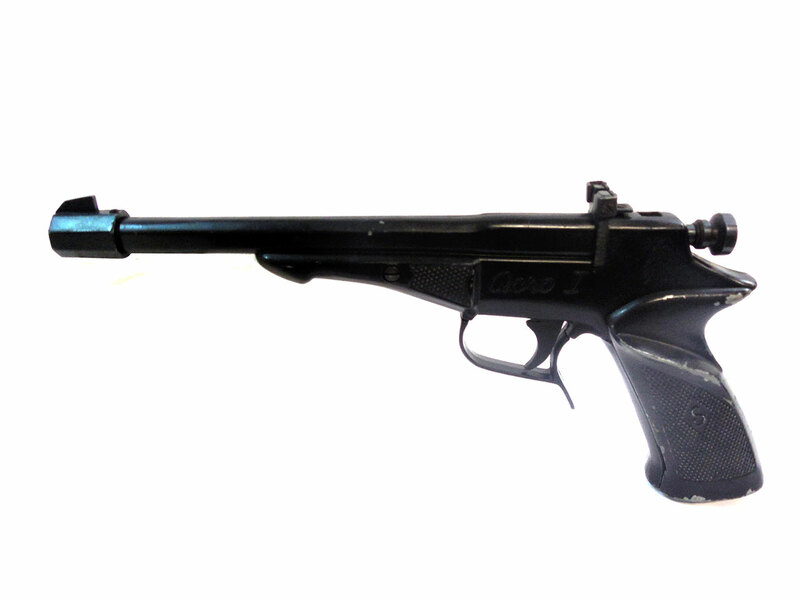 This pistol has a combination cocking knob and manual safety, this means the safety cannot be switched to safe after moving to the fire position. This gun does not work, and it may not have all of its original part. 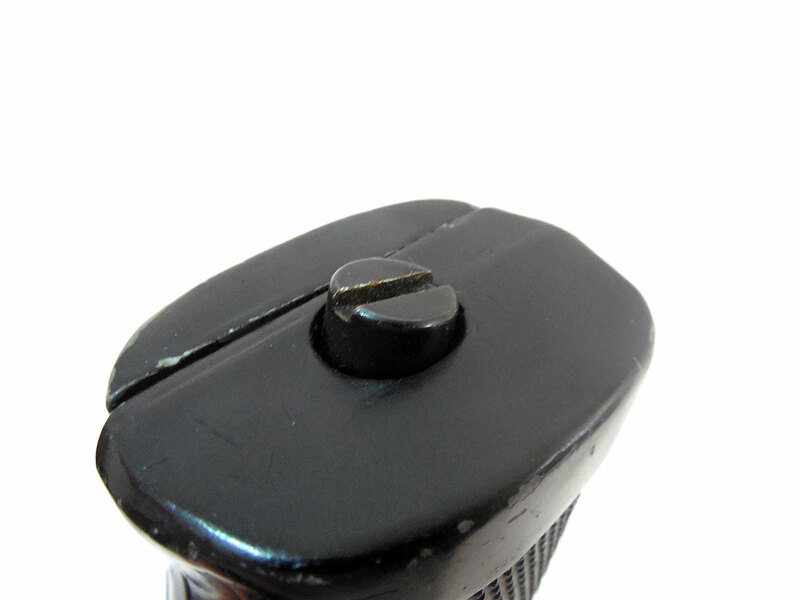 This gun does retain 75% of its original finish, and its plastic grips with a right handed thumb rest are in good condition.